See how these 12 compare to other styluses: Check out our in-depth iOS stylus charts. Steve Jobs may hate the idea of using a stylus on his touchscreen devices, but the fact remains that some consumers simply prefer an intermediary accessory for interaction. Whether it’s too cold outside for direct contact, you’re worried about touchscreen germs, or you need a sketching tool, sometimes a stylus can be a good thing. Accessory manufacturers seem to agree, having produced a plethora of styluses for Apple’s iOS devices. 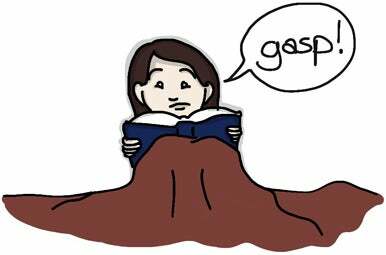 As some people know, in my not-so-secret other life, I enjoy drawing cartoons. Since I bought my first iPad back in April 2010, I’ve been using the device for quite a bit of my scribbling and coloring—most of that with Ten One Design's Pogo Sketch. So I was excited to play around with some of the other offerings on the market to see how they compared. I've spent the past few months testing many, many styluses on both my iPad and iPhone, focusing primarily on the control, feel, and fit of the accessories when sketching or writing (though I also ran through basic navigational tasks). Note that, as of yet, Apple does not provide access to software APIs that might allow for pressure sensitivity on the iPad. Apps such Sketchbook Pro and Brushes have settings that attempt to imitate true touch sensitivity, but it's just that—an imitation. So an iPad-stylus combination can’t yet replace a good WACOM tablet—but it's certainly nice for sketching on the go. 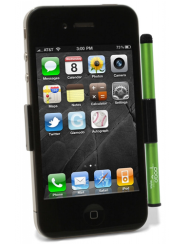 In 2008, Ten One Design was one of the first companies on the scene with a working stylus for the iPhone, the Pogo Sketch ( ; $15). The company has since released the Sketch's shorter, slimmer sibling, the Pogo Stylus ( ; $15), along with several Mac software applications aimed at enabling handwriting and multitouch tablet imitation on trackpads. I bought a Pogo Sketch within months of its release to do some quick sketching on my iPhone. Though the screen proved a bit too small for serious work, I continued to use the Sketch whenever I needed to doodle something electronically. 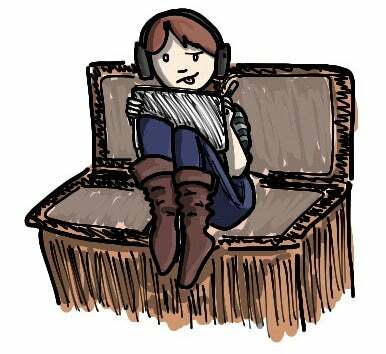 After I got an iPad, I started bringing the stylus everywhere I went, in case I felt like drawing. I've thus had a lot of experience with the Sketch, and I still quite like it for quick and easy pieces—its weight and shape let it fit nicely in your hand. Both Ten One styluses use a capacitive foam nib (the tip that actually makes contact with the touchscreen) rather than the silicone more-recent models have adopted. This works to their advantage when navigating smaller links on a Safari page or within an app; however, when drawing or writing, the foam generates more friction against the touchscreen, making it more difficult to keep a steady hand while trying to execute clean lines. At the same time, the Sketch and Stylus excel at precision work. When zoomed in on your canvas, the relatively smaller radius of their nibs makes it easier to see what you’re working on and what you need to do next. 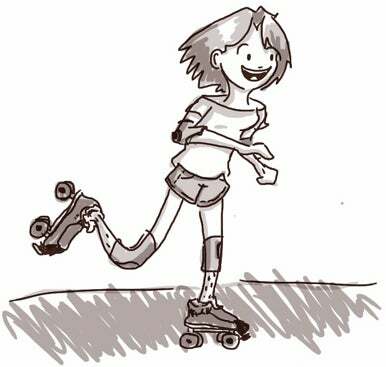 I like the Pogo Sketch for quick line-drawing sketches, like this roller skating doodle I did last fall. The major difference separating the Pogo Sketch and Stylus is the Sketch's longer body is designed for writing and sketching on a touch device or trackpad, while the Stylus is shorter and aimed at the general "I want to use a stylus with my touchscreen device" market. The Stylus is just barely long enough to fit comfortably in your hand, much like a well-worn, sharpened pencil—you must hold it almost vertically during use to avoid accidentally brushing against the screen. In other words, the Stylus is great for browsing apps or tapping on a virtual keyboard, but not so much for drawing. Bottom line: The Pogo Sketch and Pogo Stylus are great tools for iPhone navigation and detail work, but the foam nib may produce too much friction for your liking. Additionally, the Stylus's short stature makes it difficult to write or do much in the way of long-form sketching, although it works well as a substitute for a fingertip for navigating your touchscreen. JustMobile's AluPen ( ; $20), a collaboration between Tools Design and JustMobile, combines the aesthetic of a charcoal stick with that of a pencil to produce a solid, squat, hexagonal, aluminum stylus. The pen feels natural in your hand, thanks to its shape, and the relative weightlessness of the aluminum keeps it from dragging while you sketch. It feels like a natural extension of your hand—without those pesky fingers to get in the way. The AluPen is one of the many silicon-rubber-nib styluses I looked at. These rubber nibs feel similar to the rubber on a baby bottle, and the material glides over a touchscreen much more smoothly than a foam-tipped stylus, providing resistance only when pressure or weight is applied. This is both an advantage and disadvantage. On one hand, the lack of resistance gives an experienced artist more freedom to make bold lines; on the other, those without wrist control may find themselves unable to make steady strokes on the screen. Which is better comes down to personal preference. The AluPen is a great all-purpose sketching and lettering tool, especially for quick comics. The AluPen allows you to grip the pen towards its end without losing any precision, thanks to its the thick diameter and shape. While it doesn’t achieve the same level of smoothness when writing as a weightier rubber-nib stylus (such as the Hard Candy StylusPen, below), the AluPen is still a great general-purpose art tool; using it, I was easily able to switch between sketching and lettering a comic panel. The AluPen is primarily designed as an artist's stylus; trying to use it as a navigational aid on the iPad feels silly and a little bit clumsy, and using it on the iPhone is nigh-impossible. That said, you could probably get away with using it for screen tapping now and then, but it’s not the stylus I would recommend for primary navigation. Bottom line: Available in a variety of colors (silver, black, blue, gold, green, and red), the AluPen achieves the right amount of balance and fit for both virtual sketching and writing, though its size makes it a tad too bulky for basic navigation. While SGP’s Kuel H10 ( ; $13) at first appears to be quite diminutive—in its default position, the pen measures just under 3 inches in length—a telescoping mechanism allows the stylus to extend an extra inch, which makes all the difference when it comes to a comfortable drawing position. Like many of its brethren, this stylus features a silicon-rubber nib, but one that's smaller in diameter than the others—at 6mm, it's closer in size to the foam nib on Ten One’s Pogo Stylus. As such, the Kuel H10 excels at line and detail work. The K10's nib (right) is barely half the size of larger rubber-nib styluses, like Kensingon's Virtuoso Touch (left). When closed, the H10 is the perfect navigation tool for the iPhone or iPad—it’s small, thin, and you can easily see what you’re tapping. When telescoped, the stylus rests comfortably in the crook between your thumb and index finger, and achieves an almost perfect balance for writing and sketching at an angle without feeling the need to rest your hand on the screen. In fact, the H10 would have been my favorite all-around stylus of the lot, except for one thing: The H10's rubber nib—perhaps due to its smaller size—is made of a much thinner silicon than larger nibs. After approximately five continuous hours of sketching with one of our two review units, the tip developed tiny (pinhole-sized) holes. (The second sample didn't exhibit this issue.) Since then, the holes haven’t shown any signs of growing larger, and they don't affect performance in any way, but they do make me worry about the stylus’s long-term reliability. At the same time, if the pen does require replacing, for just $13, it’s not unlike buying a nice charcoal stick. Bottom line: With its smaller nib and telescoping body, the Kuel H10—available in black, white, red, yellow, or pink—is fantastic for navigation, writing, and drawing; unfortunately, the thinner nib may wear down faster than the nibs on other styluses. As one of the pricier offerings on the market, some may accuse Wacom’s Bamboo Stylus ( ; $30) of attempting to rest on the laurels of its brand recognition—the company’s pressure-sensitive Intuos and Cintiq tablets have long been favored by the digital illustration community. But that’s simply not so. Self-portrait of the author testing out the very pen she writes about. While the Bamboo resembles many of the other rubber-nib tools here, once you pick it up, it’s obvious how much care and craftsmanship the company has put into this stylus. The pen is perfectly balanced—and I do mean perfectly—in your hand, with just the right amount of weight distributed along the metal-framed body. And unlike with other well-balanced styluses I've tried, the folks at Wacom have managed to give the Bamboo the necessary heft while keeping it as slim as a ballpoint pen. Drawing with this stylus is lovely, as, like the Kuel H10, it employs a smaller (6mm) silicone-rubber tip. But writing takes the prize here, without a doubt. I was able to jot down notes at several angles without ever needing to rest my hand on the iPad’s bezel to be comfortable. In addition, while this procedure probably isn’t sanctioned by Wacom, you can get even better angles by unscrewing the metal shaft around the tip of the stylus to expose more of the sides of the nib. If you’re drawing, this trick is invaluable for shading. Bottom line: For the coin, the Wacom Bamboo Stylus is absolutely top-tier for both writing and sketching. However, if you’re looking for a simple navigation device, or you don’t have $30 to blow on a stylus, this may not be the tool for you. A pen-like aluminum design makes Griffin Technology’s Stylus for iPad ( ; $20) one of the most comfortable styluses to hold. 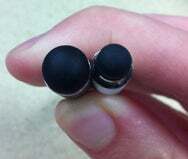 The accessory has the radius and weight of a good pen or mechanical pencil, though the length is more crayon-like. It definitely feels solid in your hand, and the stylus’s metal clip allows you to attach it to a pocket or a bag like any other writing utensil. 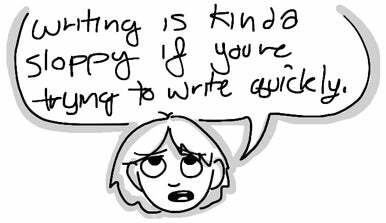 While I quite liked drawing with the Griffin Stylus, writing proved to be more of a challenge. The Griffin Stylus shines when sketching and navigating on an iPad; on an iPhone or iPod touch, the size of the nib and the length of the pen overpower the smaller device. I also ran into trouble on the iPad when I tried handwriting, as I tend to over-slant my hand, which meant I couldn’t keep the pen steady without applying a decent amount of pressure—not very useful when you’re trying to jot down quick notes. However, the pen does draw or write at almost any angle with the right amount of pressure, which can be useful when dealing with an app that doesn’t ignore accidental hand gestures. Bottom line: Griffin’s Stylus for iPad is a solid option, offering a comfortable grip and a capacitive rubber nib for smooth drawing and navigation, though its light weight may make virtual writing difficult, depending on how you hold the Stylus. At first glance, Kensington’s Virtuoso Touch Stylus & Pen ( ; $25) looks almost identical to Griffin's Stylus, thanks to the black, rubberized body; silver pen clip; and large, silicon-rubber nib. However, the Virtuoso Touch is about an inch longer than Griffin’s offering, bringing it to a more pen-like 5 inches. In addition, Kensington’s stylus is one of three I looked at—along with the Targus 2-in-1 and the Hard Candy StylusPen—that incorporate an actual ballpoint pen cartridge in addition to the capacitive nib. The Virtuoso Touch does so by adding the pen to the opposite end of the device, under a black cap. This structure provides most of the stylus’s weight, which is not inconsequential—the Virtuoso may look similar to the Griffin Stylus, but it weighs about twice as much. You can dismantle the pen infrastructure for a lighter-weight stylus, but at the cost of length: without the cap in place, the Virtuoso shrinks from 5 inches to just over 3. The Virtuoso Touch provides a smooth writing experience, thanks in part to its weight. As a stylus, the Virtuoso is great for quick note-taking and cursive writing. The extra weight balances the pen at a comfortable angle, while the rubber nib allows it to slide smoothly across the screen. Drawing is a bit more cumbersome, as the length of the stylus and the nib’s diameter make it difficult to focus on a section of detail work. On the opposite end, the ballpoint pen works about as well as any basic ballpoint; it’s also refillable, in case your ink runs out. Bottom line: The Virtuoso Touch offers a great hybrid writing experience on the screen or on paper, but its large size proves too bulky for navigation, sketching, or detailed line work.